HomeTechnologyJeff Bezos Said He Was a Victim of Extortion and Blackmail. What’s the Difference? February 9, 2019 Technology Comments Off on Jeff Bezos Said He Was a Victim of Extortion and Blackmail. What’s the Difference? 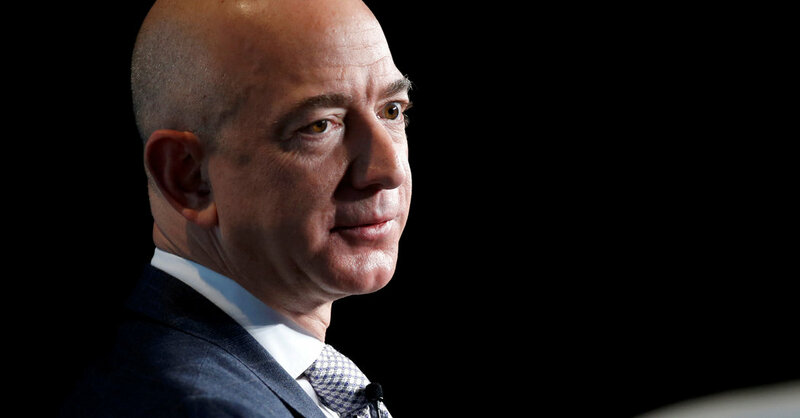 Jeff Bezos, the world’s wealthiest person, revealed in a sensational blog post on Thursday that he believed he was the victim of “extortion and blackmail” by the company behind The National Enquirer. He accused the company, American Media Inc., of threatening to release graphic photos of him. Legal definitions aside, there is a foolproof definition for blackmail and extortion, according to William N. Nettles, the United States attorney in South Carolina from 2010 to 2016. With blackmail, a person threatens to reveal embarrassing or damaging information if a demand is not met. That demand can be for money or something else of value. In 1792, Alexander Hamilton paid $1,000 to the husband of a woman he was having an affair with, after the man threatened to reveal the relationship. While Hamilton paid the initial amount, he ignored subsequent demands. The word “extort” dates to Middle English, from the Latin word meaning to twist. Blackmail first surfaced in Scotland in the 1500s, sometimes rendered “black meal,” to describe a payment farmers and property owners would give plunderers to avoid having their land damaged. The word became a combination of black money (“black”) and rent (“meal”). In early Scottish law, both sides of a blackmail scheme were considered criminals, even those we would now consider victims. “The reason the givers are liable is because they maintain the thieves,” according to “The Laws and Customes of Scotland,” published in the 17th century. In the United States, the federal government and all 50 states have criminal statutes covering extortion and blackmail. Such cases can become federal crimes if they involve “interstate commerce,” which can be as simple as emailing a threat from one state to another. Extortion cases appear all over the world. In China, government officials have been targeted, receiving photos of their sordid behavior in the mail with a threat that the images will go public if money is not paid. There have been high-profile schemes in the United States, including one targeting David Letterman, the former host of “The Late Show” on CBS. Like Mr. Bezos, he went public with the scheme without capitulating to the demands. Mr. Letterman told his audience during a show in October 2009 that a man, later identified as a CBS producer, wanted $2 million to not reveal publicly that Mr. Letterman had been in sexual relationships with women who worked on his show. The producer, Robert Halderman, pleaded guilty to larceny, a charge that covers blackmail in New York. “There is definitely a prima facie case to be made that Jeff Bezos was being extorted by National Enquirer,” said Mr. Nettles, the former United States attorney. Mr. Nettles said that Mr. Bezos must have viewed the actions by The Enquirer and its parent company as a threat. “Jeff Bezos exposed himself by doing this,” he said.